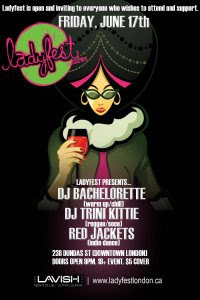 "Join us in celebrating local female creativity in all of its forms at the 3rd annual Ladyfest London! 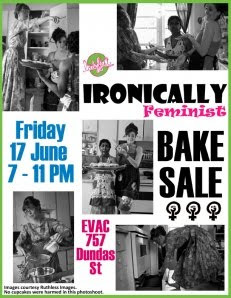 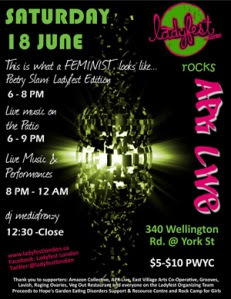 Ladyfest is a community-based, not-for-profit global music and arts festival for female artists that features bands, musical groups, performance artists, authors, spoken word and visual artists, films, lectures, art exhibitions and workshops; it is organized by volunteers. 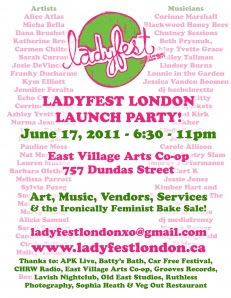 Ladyfest London 2011 is raising money for Hope’s Garden & Rock Camp For Girls. All proceeds from this event will go to these valuable organizations........"